Dolphins are regularly seen around the coast and in the fishing grounds of Abaco. Sometimes, they make it easy by nosing into harbours and being generally adorable for a while, to the delight of onlookers. Hope Town can be a good place for this. Those aboard the “Donnies” – the ferries that criss-cross the Sea of Abaco from the main island to the various Cays – may be in luck too. 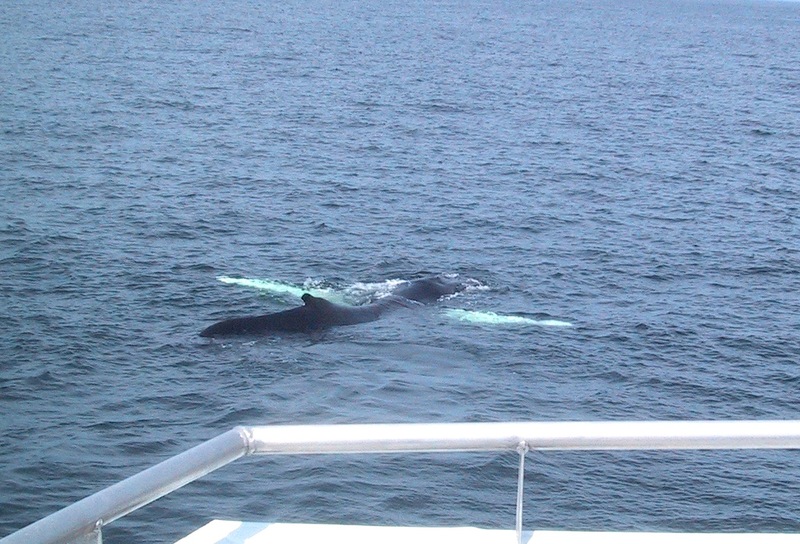 However, it is perhaps less well known that Abaco waters provide a home or a migratory passage for gigantic whales. 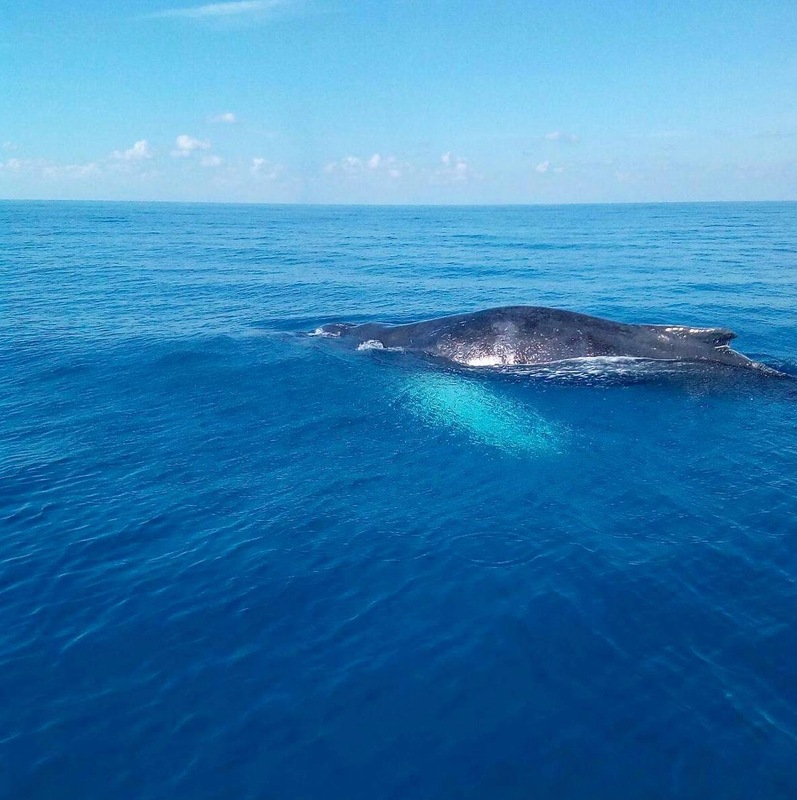 Beside these mighty creatures, the several other whale species of the Bahamas seem relatively small. 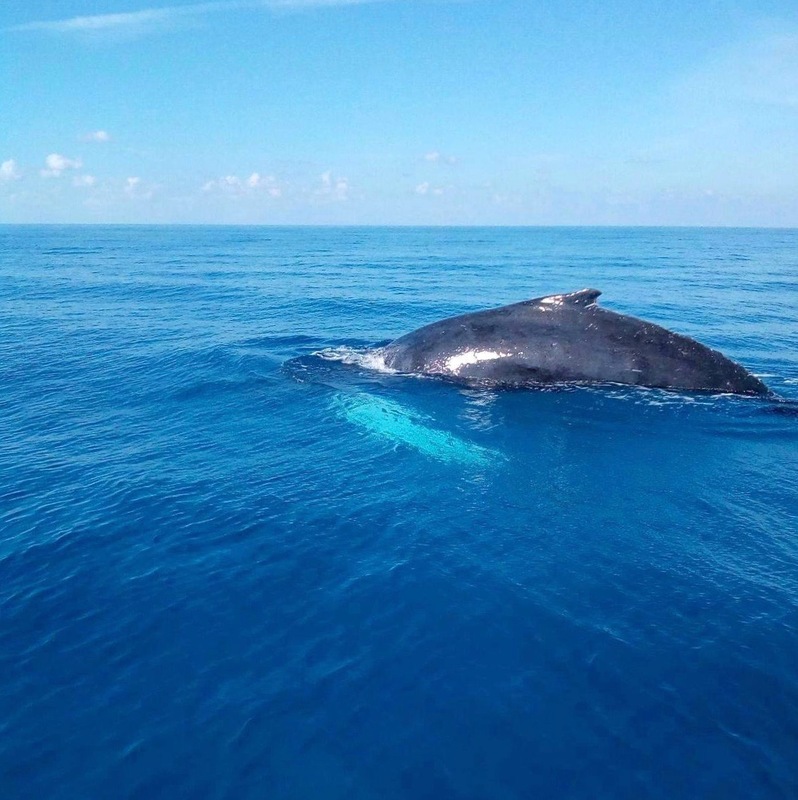 Yes it’s true: there are huge whales – humpbacks and sperm whales (cachalots) – to be found in Abaco waters, and not so very far from land either. 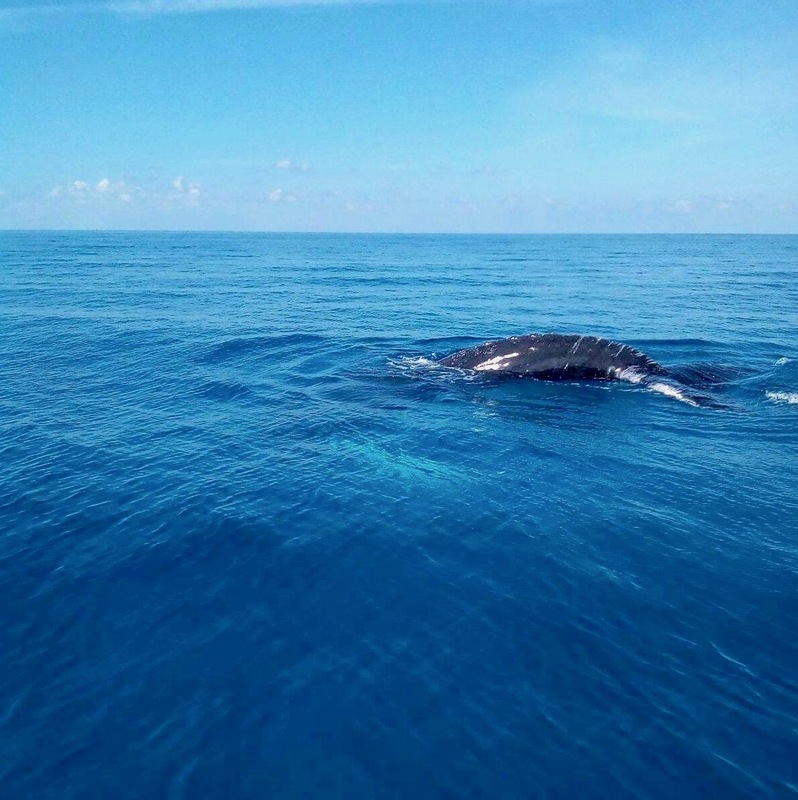 The humpback whale Megaptera novaeangliae above, with its characteristic white pectoral fins, was seen about a week ago off Sandy Point (southwest Abaco). You’ll get an idea of its immense size from the photo. An adult of this BALEEN WHALE species can reach 50 feet in length and weigh 35 tons or more. 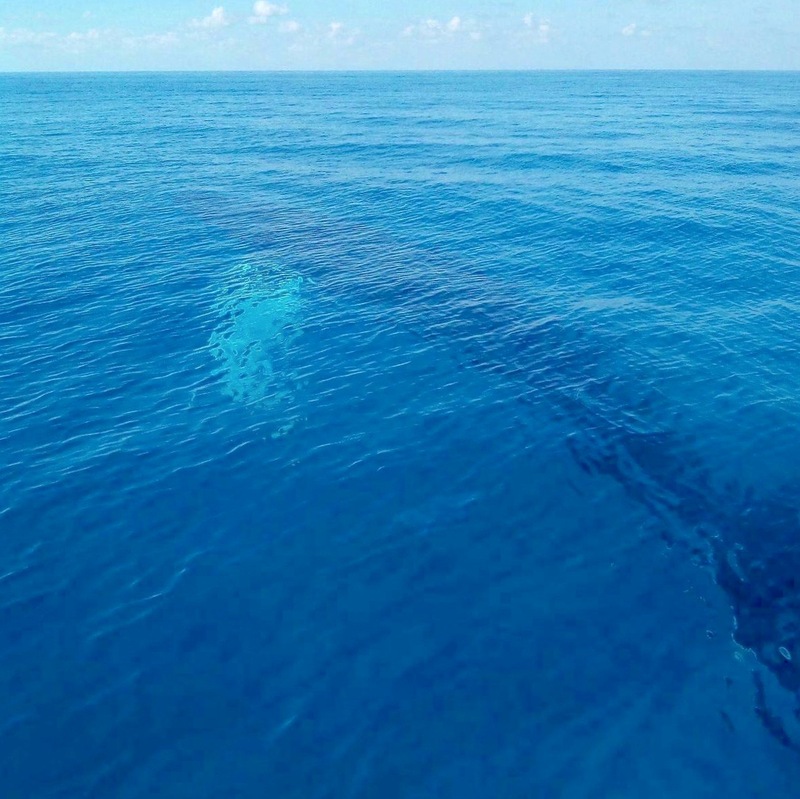 Imagine watching one slipping silently past your boat… and then consider that even larger sperm whales are seen in the same area. 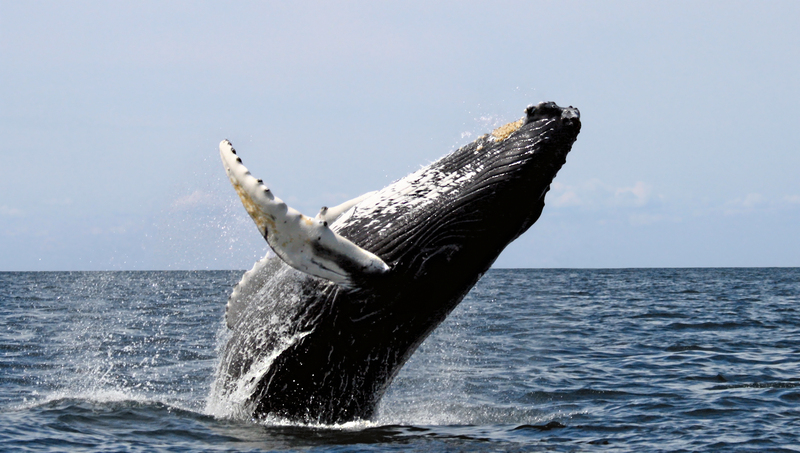 Humpbacks are found in oceans throughout the world. They migrate huge distances each year, from polar regions to the tropical and sub-tropical waters where they breed. These are the whales beloved of wildlife film producers and whale-watching trips, with their spectacular arched breaching in which half their length or more may emerge from the water before smashing back into the waves. 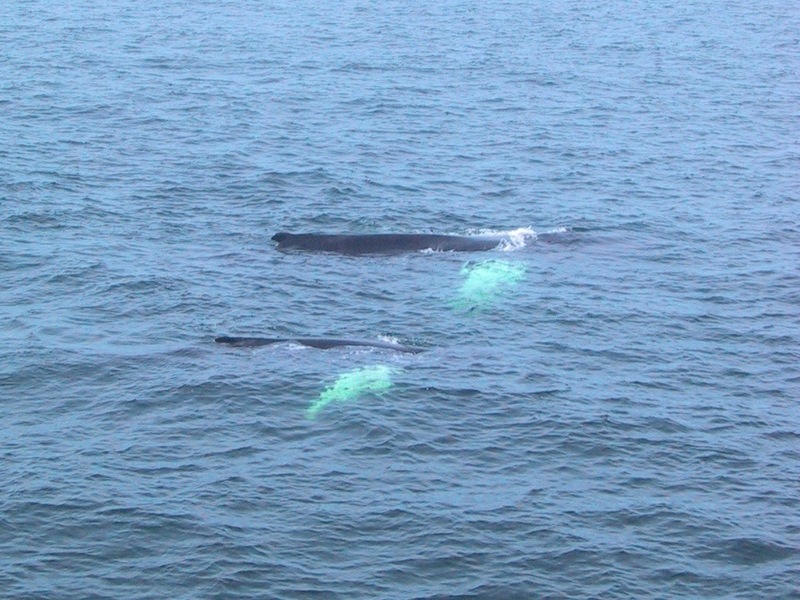 Like other large whale species, humpbacks were unsurprisingly prime targets for the whaling industry in a melancholy era of marine history that took them to the edge of extinction until a moratorium was declared in 1966. Since then the population has recovered significantly. They remain vulnerable, however: in some locations, to killing; to entanglement in heavy-duty fishing gear; to ship collisions; and to noise pollution that affects their ability to communicate long-distances underwater, as they need to do. 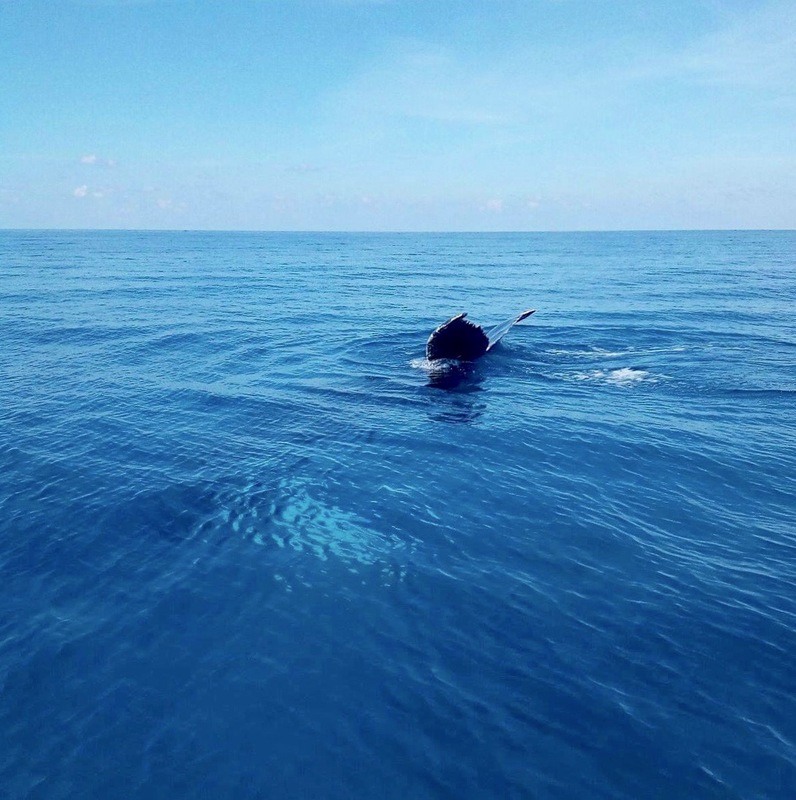 Do you have a Bahamas whale or dolphin sighting to report? Please use this link, giving as many of the details as you can. Each report makes a valuable contribution to the BMMRO’s research. This entry was posted in Abaco, Abaco Wildlife, Bahamas Marine Life, Marine Life Abaco, Whales & Dolphins Abaco and tagged Abaco Marine Conservation, Abaco Whales, Abaco Whales & Dolphins, Bahamas Marine Conservation, Bahamas Whales & Dolphins, Baleen Whale, BMMRO Abaco, BMMRO sightings report, Effect of Sound on Whales, Humpback Whale Abaco, Humpback Whale Sandy Point Abaco, Humpback whale size, Humpback Whale Stellwagen Bank, Marine Life Abaco, Sandy Point Abaco, Whale & Dolphin Sightings Bahamas. Bookmark the permalink.